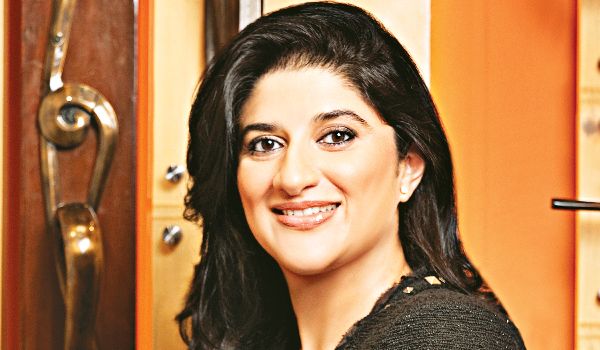 Fifteen years of dealing with a niche market of door knobs and fittings has made Anagha Dandekar, more than just a scion of the Camlin Group (now Kakuyo Camlin, after the acquisition by the Japanese stationery company, Kakuyo, in 2011). This confident New Mexico-based entrepreneur started the company in 2001, along with David Coe, who was making antique reproduction doors at that time and shared a a�?common interest in hand-crafted fittingsa�?. Her products are retailed at over 80 showrooms across the world and her clientele includes A-listers likeA�Robert Redford, Barbara Streisand and film director Robert Rodriguez (of Desperado and Sin City), but Dandekar tells us that it was no cake walk. a�?One of the main challenges was finding a team of blacksmiths who could work with metals like hand-forged iron using traditional techniques and then combining it with modern engineering,a�? she admits. Another challenge is meeting the demands of her star clientsa��one request was for customised copper fittings for a horse barn! But forA�Dandekar,A�extravagantA�ideas are not new. Constantly looking for inspiration in art, architecture and nature (sketching new designs is one of the ways that she unwinds), she makes sure she is up to date with international trends. It helps that she did her MBA in art materials and pharmaceutical chemicals in USA and Mexico. a�?I am currently reading Miracle of Mindfulness (by Thich Nhat Hanh) that is showing me how to live in the moment and focus completely on what I do,a�? she reveals and shares that her favourite travel destinations are Colorado and the Caribbean. Despite her busy overseas schedule, she also makes it a point to visit the country every two-three months, a�?to work with my team, meet customers and family.a�? Her team sits at the office of Camlin Fine Sciences (an offshoot company owned by her brother) in Mumbai.A�When not at work or contemplating expansion plans (she intends to move in to the Middle East in the future), Dandekara��s focus is her family. a�?I am a morning person, so my day usually starts early, with yoga, checking emails, and getting my teenage daughter off to school. Work can seep into every minute of your life if you are not careful, so I ensure that dinner is a family affair, without cell phones or TV,a�? she smiles.